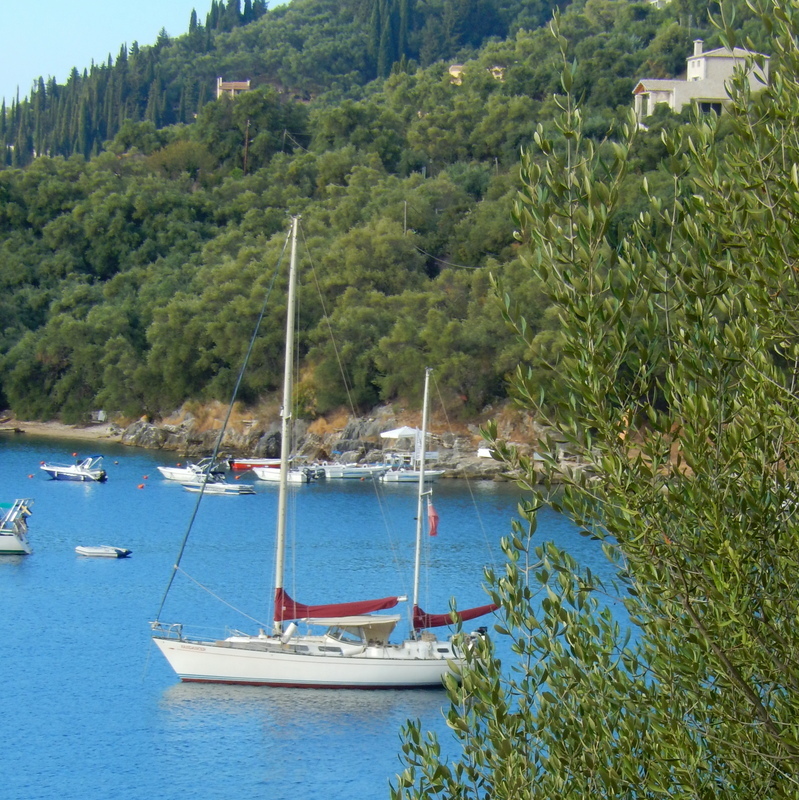 We continue our series of guest posts with Georgina Moon’s piece on sailing in Greece. Georgie is a full-time sailor exploring Greece in her yacht Fandancer with husband Tim and their Greek cat called Artemis. Georgie had never sailed until she was in her 40s (she was a college lecturer in her previous life) but now spends the summer months in the Greek islands. Georgie, Tim and Artemis have visited over 40 islands so far. Georgie has written a number of articles for UK sailing magazines and is planning a series of posts for Zizoo readers on sailing in Greece. In her spare time Georgie likes photography, cooking, and is currently writing a book about her sailing adventures. Stunning scenery, fabulous weather, uncrowded harbours, crystal clear water, easy navigation. 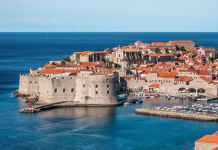 Does this sound like your sort of sailing holiday? If so, why not experience some time aboard a yacht in Greece. Greece has a special charm of its own, as though time has stood still. You can wander through tiny villages where nothing has changed since Pythagoras, Achilles and Plato lived there. You will see cobbled streets worn smooth by donkeys carrying their loads down to the harbour, and old women still gathering olives picked from trees that were planted a century ago. There are over 3000 Greek islands, with almost 300 of these being inhabited. The sailing locations are numerous – from the sheer beauty of the Ionian, said to be the greenest and most fertile of the islands, to the rugged Cyclades, where tiny white houses cling precariously to rocks. Antiquities are in abundance – the history of Ancient Greece surrounds you everywhere. What is it like to go sailing in Greece? With just a little sailing experience, you can have a very enjoyable sailing experience in Greece, especially in the Ionian or Argo-Saronic. There are virtually no tides to worry about. The weather in the summer months in these areas is largely predictable, with clear, calm mornings and an afternoon sea breeze until sunset, usually force 3-4. However, if you sail in the Cyclades it can be a different matter. The capricious Meltemi winds blow strongest in the Aegean Sea between July and October and can be challenging for even experienced yachtsmen. Weather forecasts must be studied carefully, and you should have an alternative sailing plan if you cannot reach your chosen destination. 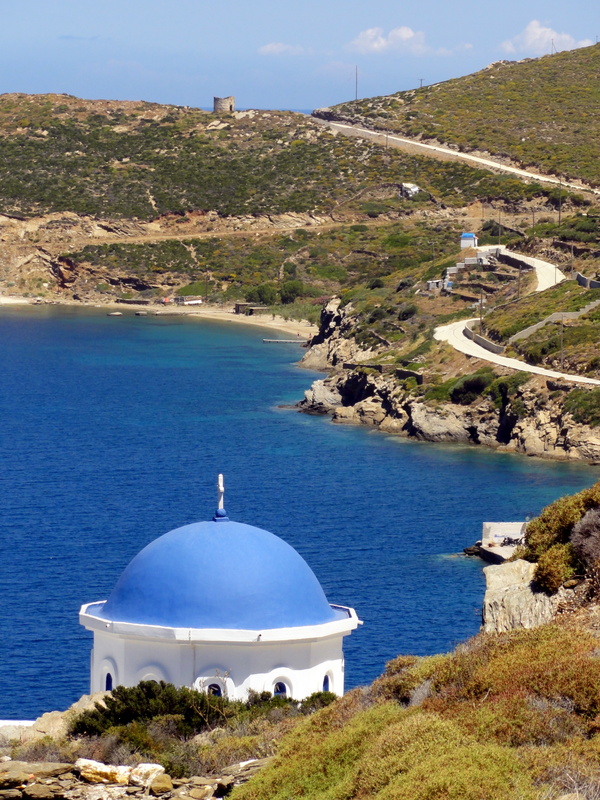 However, the Cyclades are a stunning group of islands, and it is worth making the trip, if you can. which is stern-to, in small harbours. Do not worry if you are unfamiliar with this style of mooring. If you have to drop anchor and go astern several times until you get it right, don’t be put off. There will always be people around to help you. Most places you will visit, but not all, will have a water supply to top up your fresh water tanks, but many will not have an electricity hook-up. 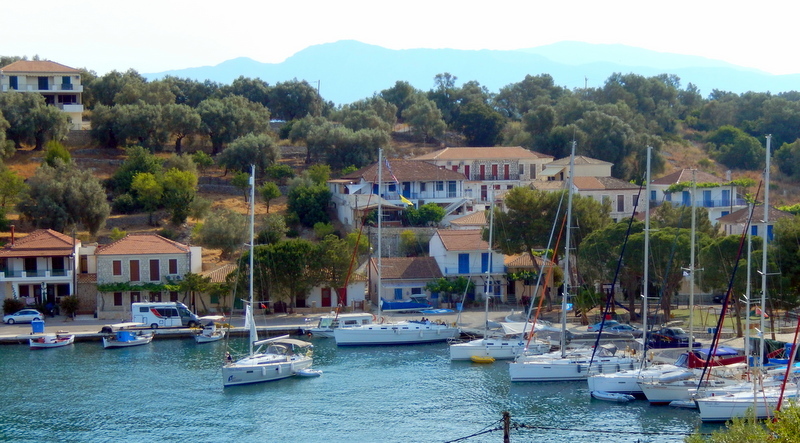 In Greece, you will find that many harbours do not charge you anything for mooring, although the more popular and busy places like Aegina and Poros, will charge a small amount which may include water. Finally, if you sail here, you will experience the hospitality and friendliness of the Greeks. Everyone speaks some English, and they welcome visitors. 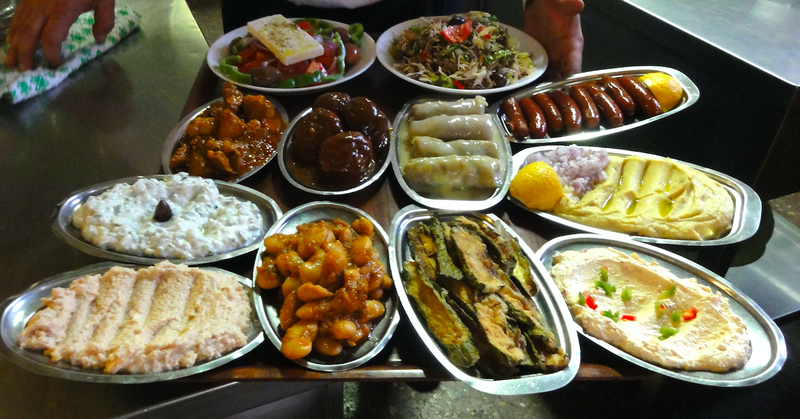 The tavernas will allow you to try a range of different foods, all home-cooked, using local ingredients. In the smallest places, there may not even be a menu! The owner will take you into the kitchen and proudly display what has been cooked that day and you will choose from a selection of dishes. Stuffed tomatoes and peppers, beef stifado, lamb kleftiko, briam, fried zucchini, beetroot salad, tzatziki, Greek salad with feta cheese…the list is endless. Did you enjoy Georgie’s post on sailing in Greece? Remember to have a look on our website and take advantage of our current discount on boat holidays in Greece. Next articleGuest Post: So You Want to Sail with a Baby? Informative article. About Cyclades: Yes indeed the wind may blow hard during the high season, so it maybe better go for a sailing cruise with a local captain.